A shout-out to our Science Bowl teams and their advisers – Michael Grizzaffi and Sam Steinken. The Stevens and Central teams competed at Science Bowl Regionals in Huron on February 16th. 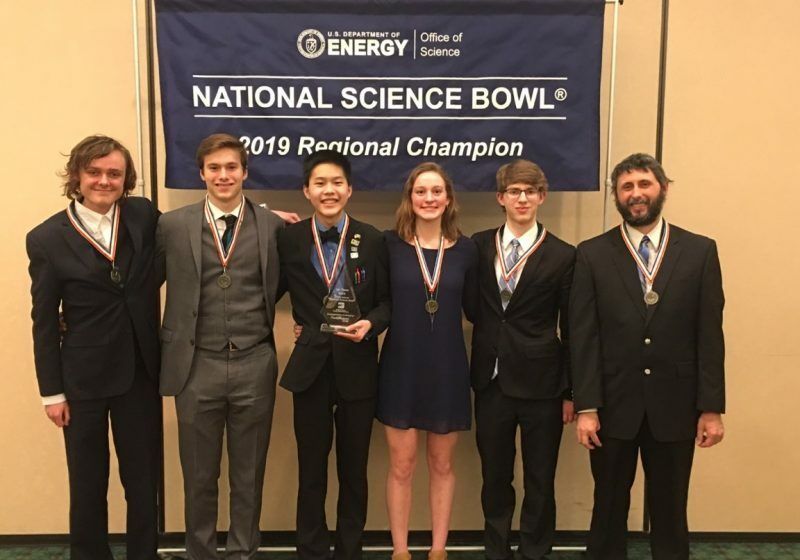 Raiders Science Bowl reigns as Region Champions and National Science Bowl Qualifiers! The two teams from Stevens finished 1st and 3rd in the competition. Central placed 2nd at this event resulting in the top three Regional Science Bowl spots in South Dakota all going to Rapid City Area Schools! Way to go Raiders and Cobblers!